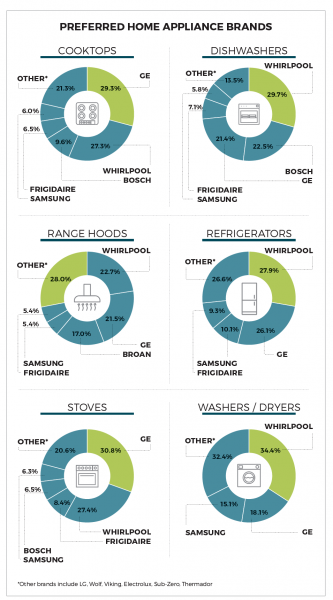 Data Field: What are the top products brands? 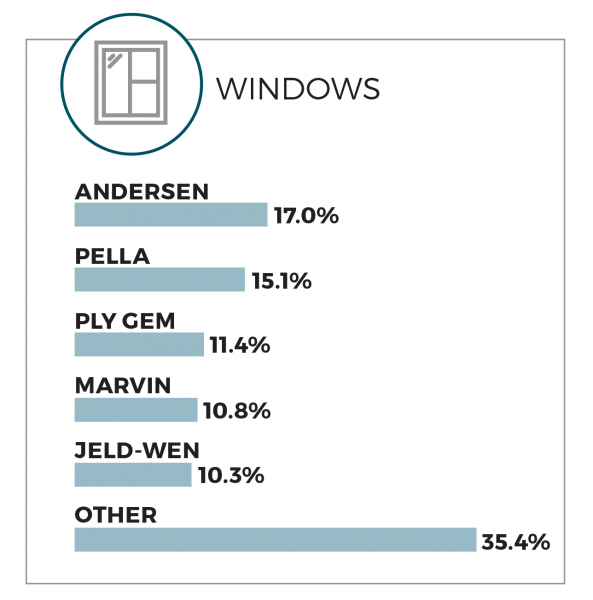 From the moment we launched PRODUCTS magazine, we knew one of our eventual goals was gathering data on what products, materials, and brands are most popular in the residential construction industry. 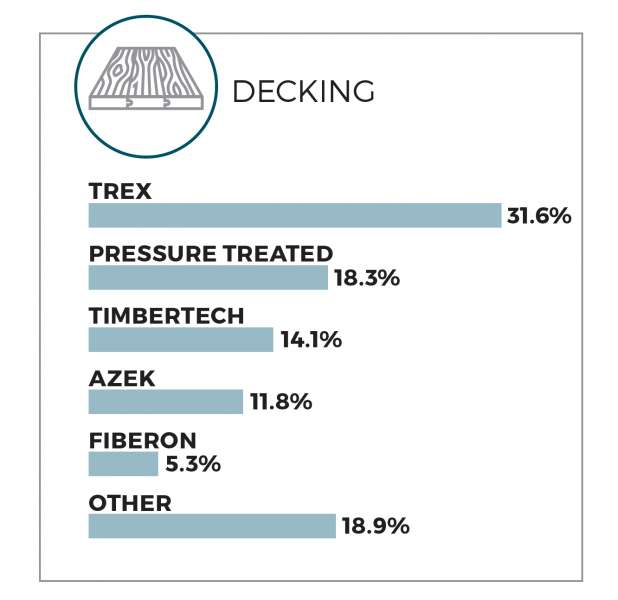 Inquiring minds—yours and ours—wanted to know. We’ve made attempts to track down this information in the past, but those endeavors never gave us what we wanted. So we redoubled our efforts, and the outcome has been fruitful. 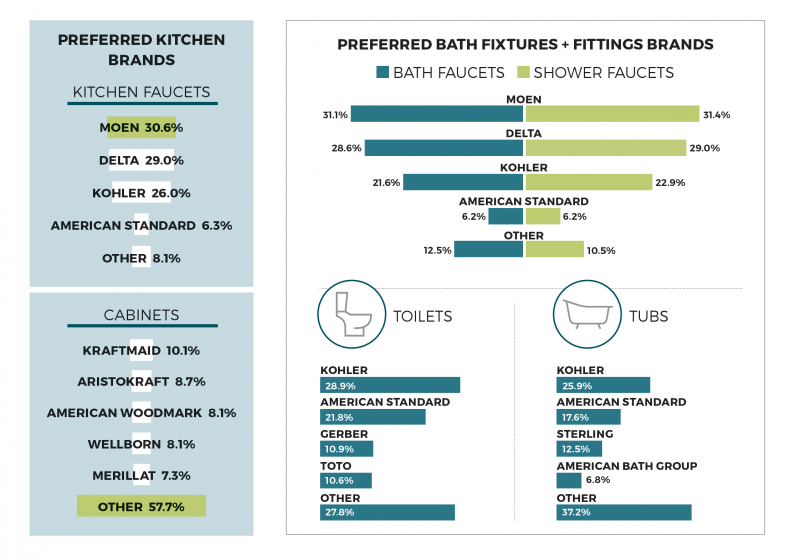 With this issue, we present the first annual PRODUCTS Brand Use Survey. 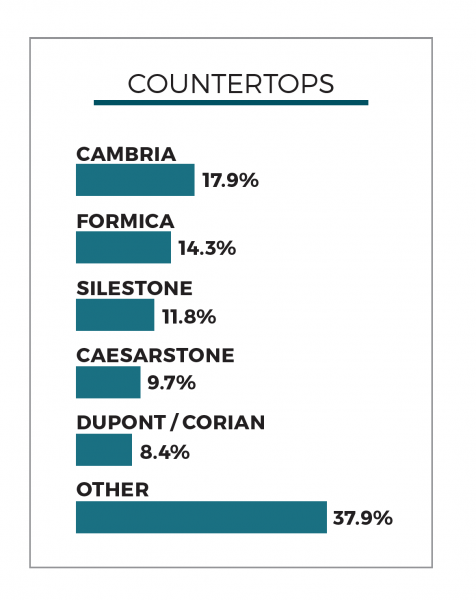 Collaborating with Builder Partnerships, we distributed the survey to a random sampling of PRODUCTS readers (builders, designers, architects, and remodelers) and to members of Builder Partnerships to find out the preferred brands, materials, and products of more than 300 respondents. 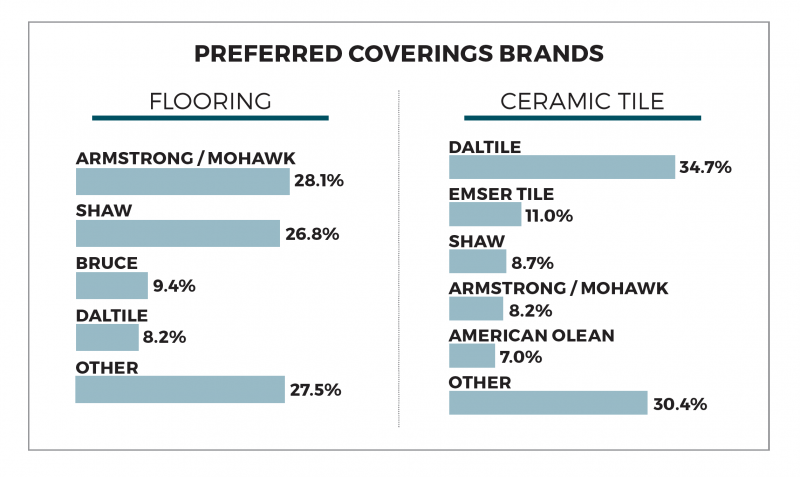 Covering such product categories as siding, insulation, toilets, windows, doors, wall sheathing, and more, the survey results give a fascinating snapshot of product and brand preferences among industry professionals. 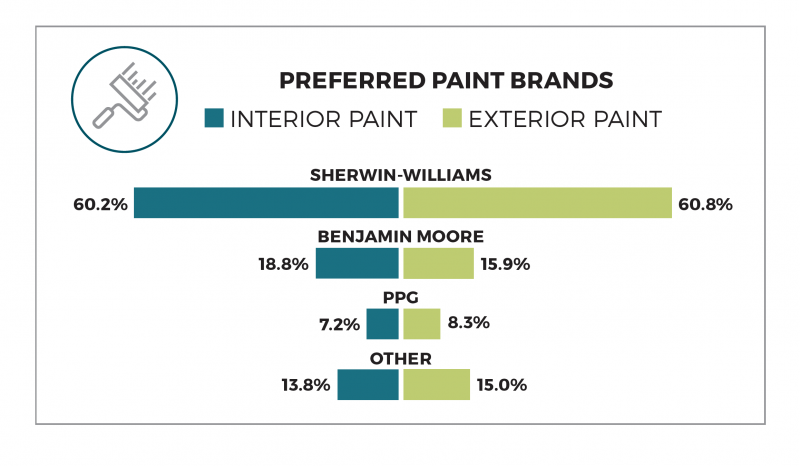 It tells us, for example, that one paint brand dominates the industry, while the thermostat category is highly competitive. 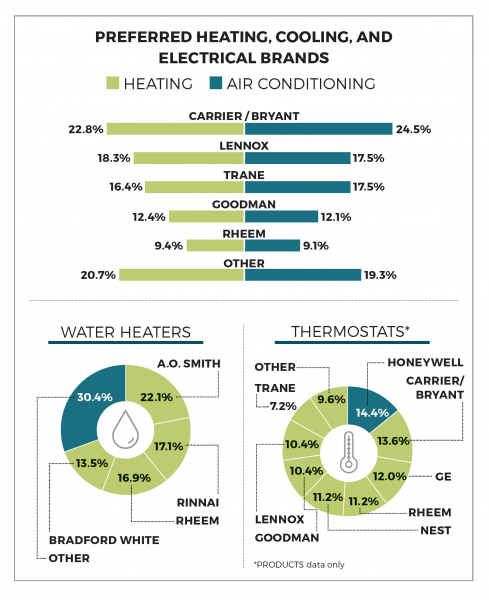 See other intriguing findings below. *Note: All values have been rounded. 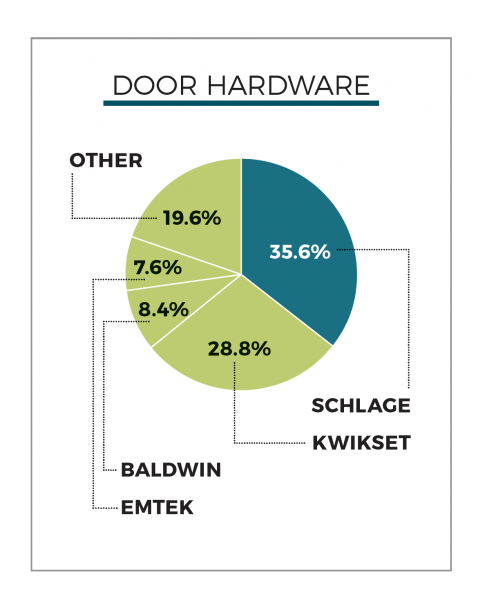 This story originally appeared in the Winter 2019 issue of PRODUCTS magazine. See the print version here. preferred for what reason/s? Price? Quality? Style? Options? Availability? Etc. More detail would be helpful.